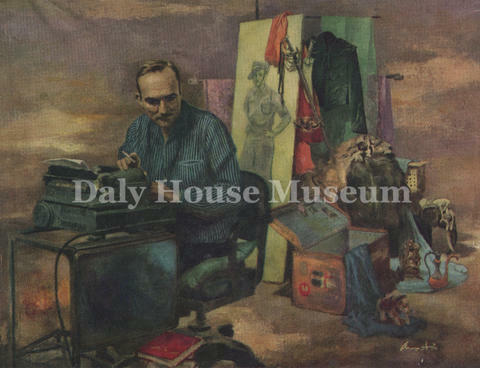 Donated to the Daly House Museum by Bob Hoffman in 1980. Print of a painting of author John Masters by James Aviti. Masters is pictured at a typewriter.